A20 features dual high-performance drivers delivering 30W peak power output. It also allows you to set up TWS system to enjoy the 360-degree huge stereo sound by paring two units. The robust aluminum alloy housing makes it the icing on the cake of your house and office. 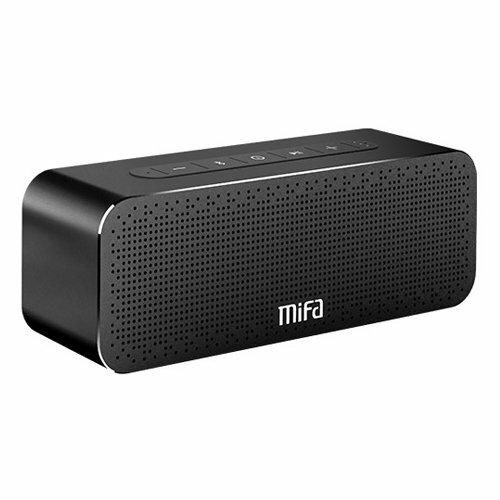 Made from aluminum alloy, the speaker gives robust and durable quality. You will be surely impressed with its smooth curves and ergonomic controls. Two built-in 1.7 inches full-frequency drivers, dual 1.8 inches visible low-frequency radiators, and a built-in loop radiator ensure distinct lows, mids, and highs. A class-D double charge pump amplifier and Waves DSP chip enhance the audio streaming, giving you HIFI experience of 30W peak power output. The built-in 4000 mAh rechargeable lithium-ion battery offers up to 12 hours of continuous playtime on a full charge. You can set up TWS system by paring two units of A20 speakers. Fill your room with music all around now!